AMIS is committed to providing excellent insurance products through a variety of insurance companies along with outstanding customer service through our staff of professional insurance agents and brokers. Along with the outstanding insurance coverage that we offer through a variety of the best insurance companies in the industry, AMIS is committed to providing outstanding customer service through our staff of professional insurance agents and brokers. We are dedicated to faithfully serving the clients who have placed their trust in our agencies. Our Customer Service forms are now online. Just click on the name of the form below, fill in the information we need to change your coverage, and then click on the form submit button. Your information will go directly to our customer service department, where it will be handled with the speed and efficiency you have come to expect. If you have a claim to report, please call our office within 24 hours to give us the details. You can also use the simple claim form on our website to report the claim if our offices are closed when you call. 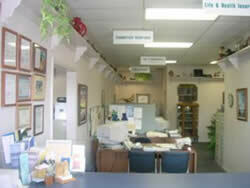 You can fax the claim to our office at (760) 471-9378. For help with billing questions, you can contact the insurance company directly or call our office to speak with one of our staff members. We are open Monday through Friday from 8:30 AM to 5:00 PM to assist you with any questions. Call us at (760) 471-7116 or Toll Free at (800) 843-8550. Our agents and brokers are the best source of answers to your questions, or for assistance when making a change to your coverage. If you have questions about your policy or coverage, please call our office and speak with your agent/broker directly.